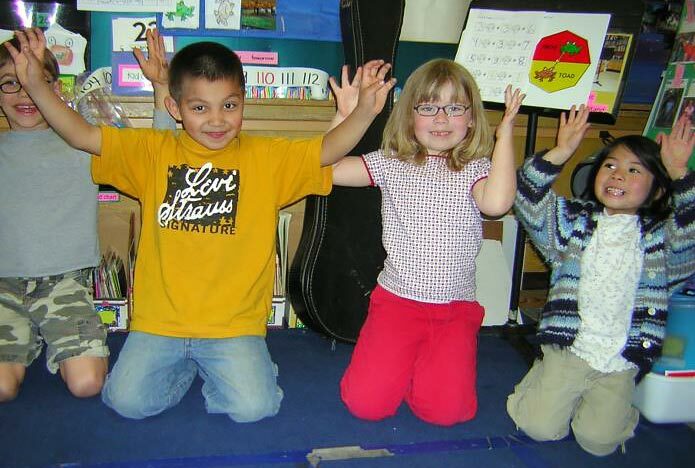 Signing songs helps build an active, joyful community of learners. 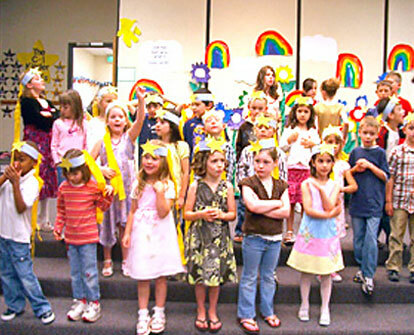 The children on the left are performing signed songs at a multicultural school assembly. The second photo shows kindergartners celebrating their beautiful new language with families. knowledge of the alphabetic system. 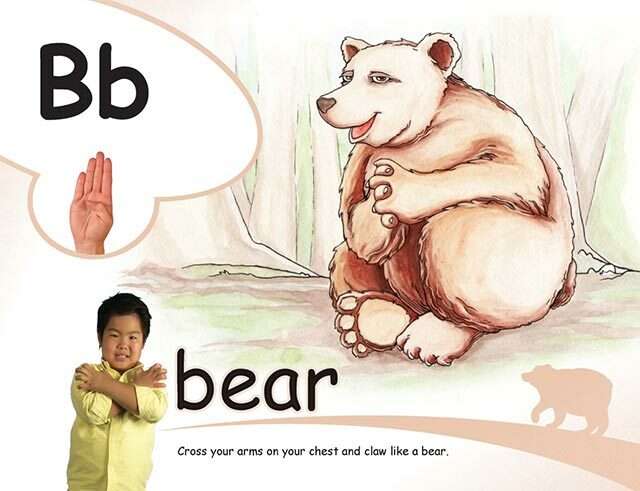 These children are singing and signing b/“b”/bear from ABC Phonics: Sing, Sign, and Read! The brain is uniquely designed to learn through music. Within the context of a song, the brain is able to “chunk” the entire alphabet with corresponding sound, key phonics object, fingerspelling, and sign language in one memory space. Mastery of the alphabetic principle is key to reading success. Children love to practice fingerspelling the ABCs during transition times and while lining up for lunch, recess, or the end of the day. Short bursts of practice occur throughout the day. There is motivation and pride in learning. 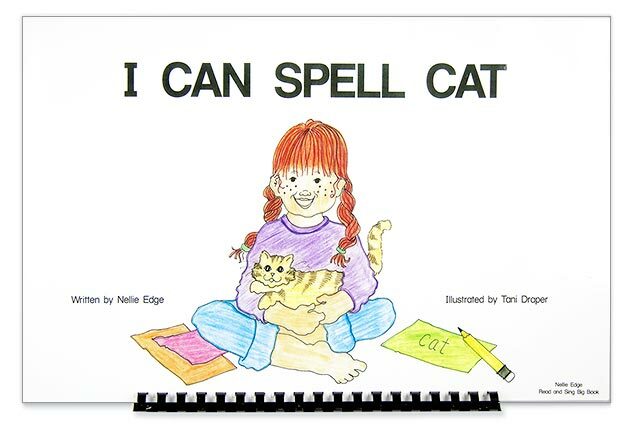 Children’s memory for the spelling sequence of words is dramatically improved through singing, signing, and fingerspelling. 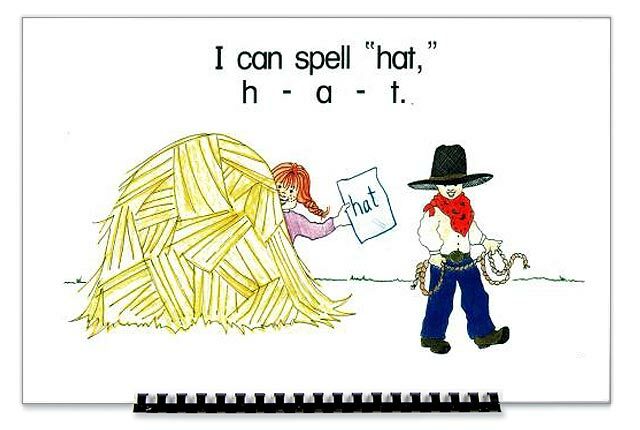 Kinesthetically forming letters using fingerspelling improves recall, especially for English language learners and developmentally younger students. They become “experts” at fingerspelling their names. Fingerspelling helps with sounding out words. Children can feel rhyming in their hand even if they aren’t able to hear it. 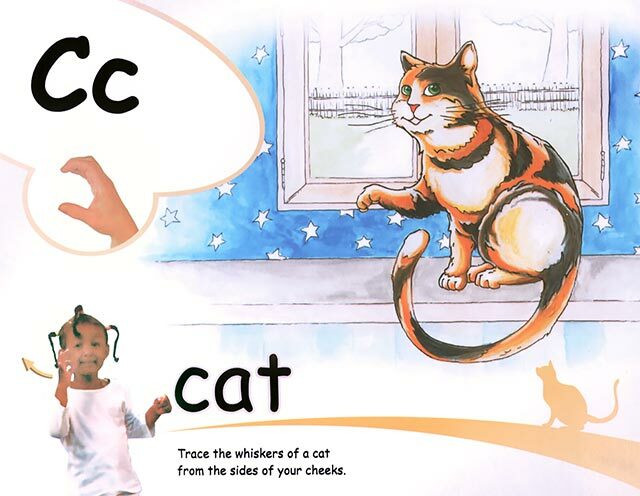 (c-a-t, r-a-t, h-a-t) This accelerates children’s mastery of the decoding and encoding process with CVC words. 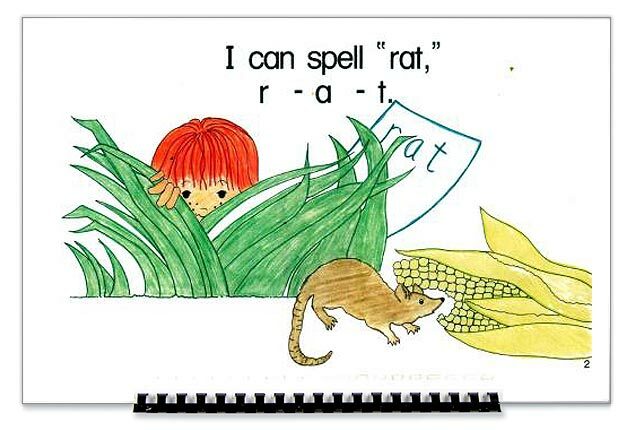 RF.K.2 Isolate and pronounce the initial, medial vowels, and final sounds (phonemes) in three-phoneme (consonant-vowel-consonant, or CVC) words. Sign Language provides a powerful bridge between English and Spanish language learning. 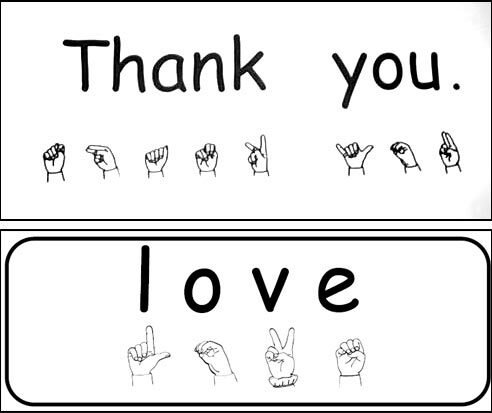 After children have learned the sign language for their song picture books, they can more easily read the words. 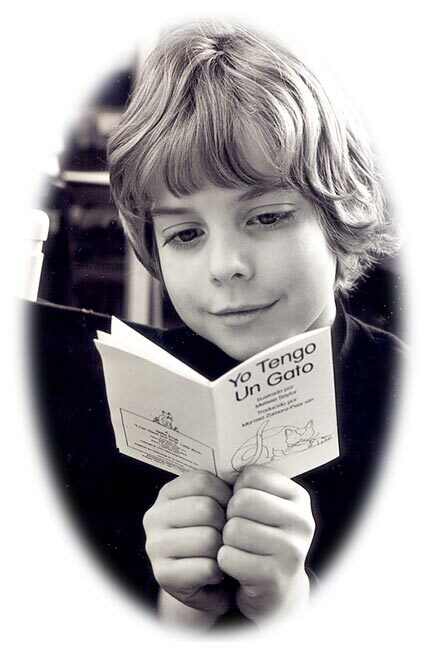 This boy is reading the Yo Tengo Un Gato/ I Have a Cat Little Book. 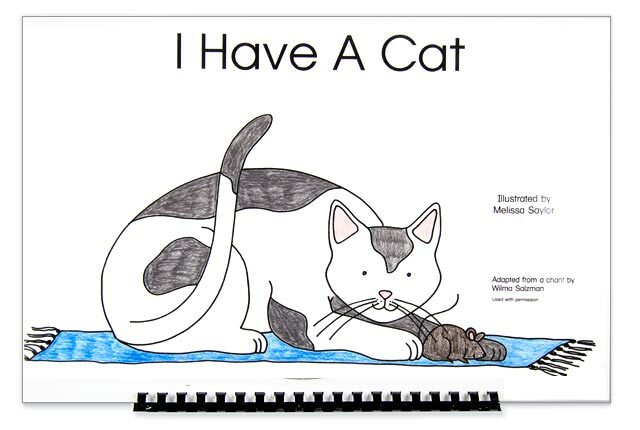 The predictable language of engaging song picture books is internalized through repetition, and comprehension is enhanced through sign language. This book provides the kind of total emotional body response to language that all children—especially English Language Learners—need. They become the “Just Right: I Can Read!” books of choice for student book boxes and for shared and guided reading experiences. 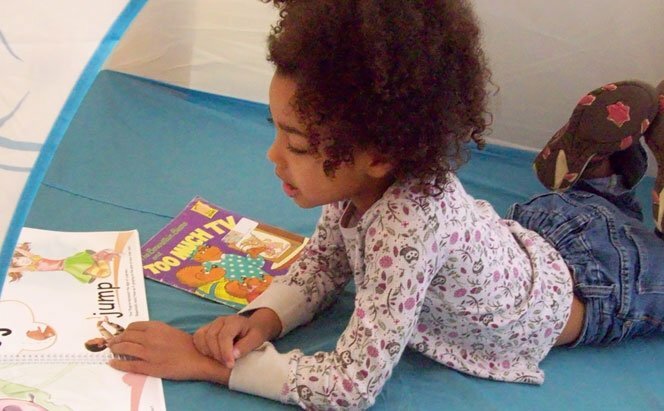 Children love to sing, sign, and reread books that they have experienced multiple dramatic encounters with. Watch them gain confidence, fluency, stamina, and reading independence! Sign language is a great tool for class management. It keeps our young friends engaged and focused. 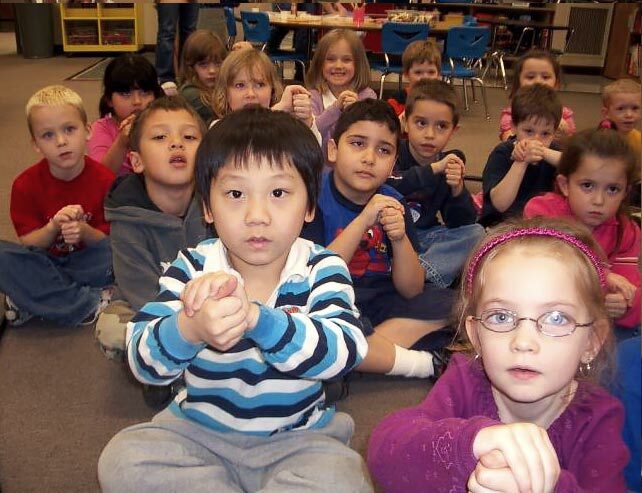 Children easily learn to understand and sign “yes,” “no,” “bathroom,” “focus”... 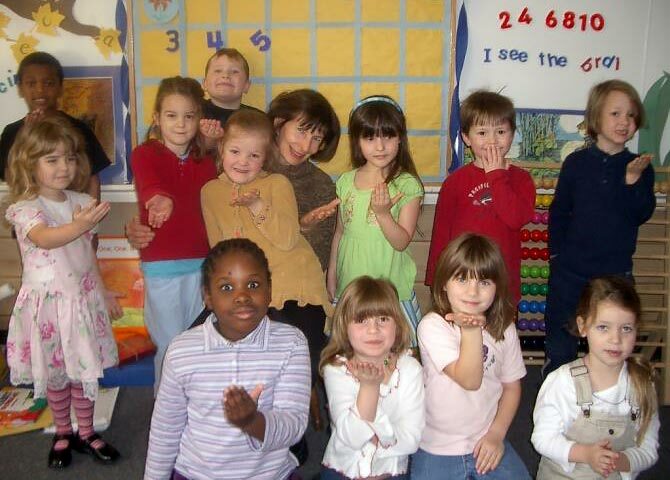 These children are signing “thank you” to show their appreciation. Keep children engaged and focused. Fingerspelling builds kinesthetic memory connections for letters and sounds and develops the small muscles necessary for writing. 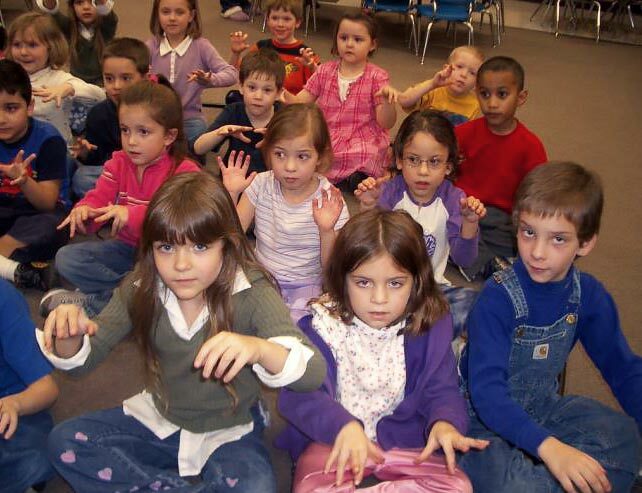 Here children are signing the word “l-o-v-e.” Singing and fingerspelling the L-O-V-E Spells Love song supports learning to write “love” and the powerful message: I love you. 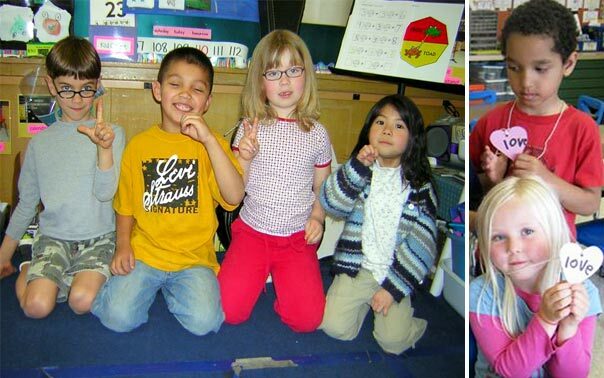 Using American Sign Language (ASL) makes class management easier. Using American Sign Language (ASL) makes class management easier: Transition times become learning times. 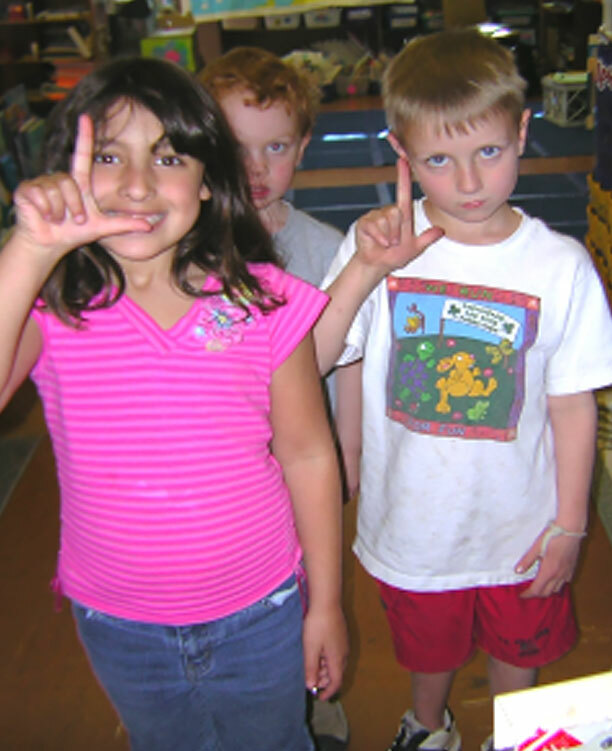 Children fingerspell the L-O-V-E Spells Love song as they go quietly down the hall. 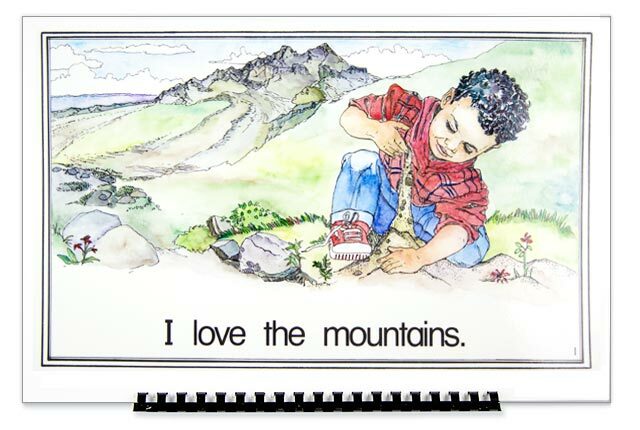 They look for words they know in the favorite Nellie Edge Read and Sing Big Book™ songs: I Love the Mountains. See ASL video clip L-O-V-E Spells Love and I Love the Mountains. Sign language builds comprehension by creating internal images of language. These children are signing “cat” by tracing the cat’s whiskers. Trace the whiskers of a cat from the sides of your cheeks. 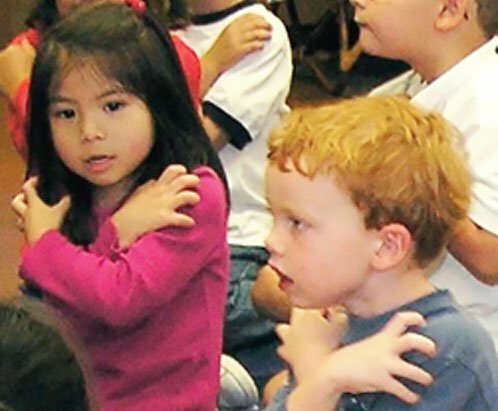 Singing and signing enhances all speech communication skills. 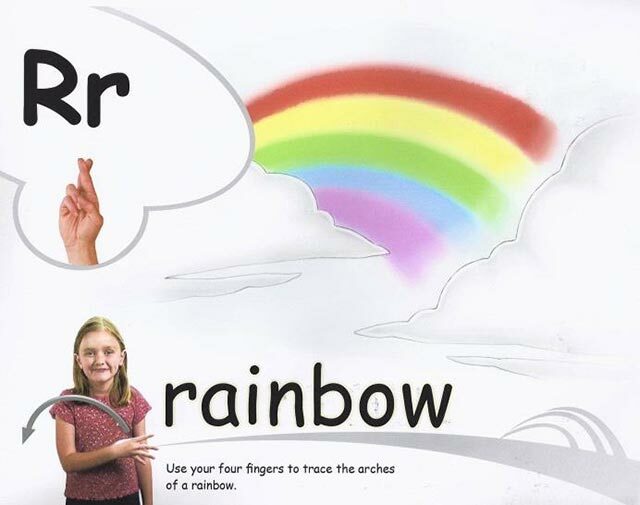 Use your four fingers to trace the arches of the rainbow. Build enthusiasm and motivation for learning. 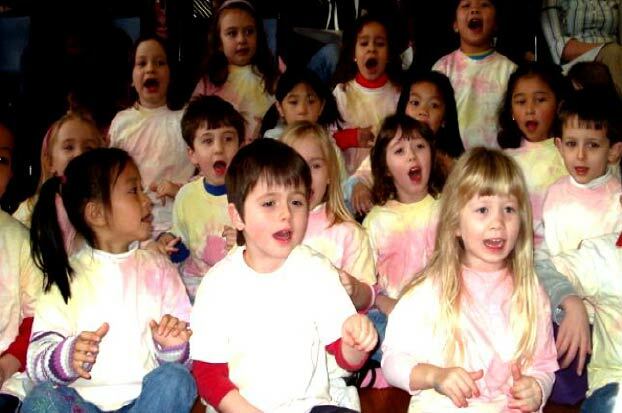 When children are singing and signing, they are focused and engaged—the optimum state for language learning. 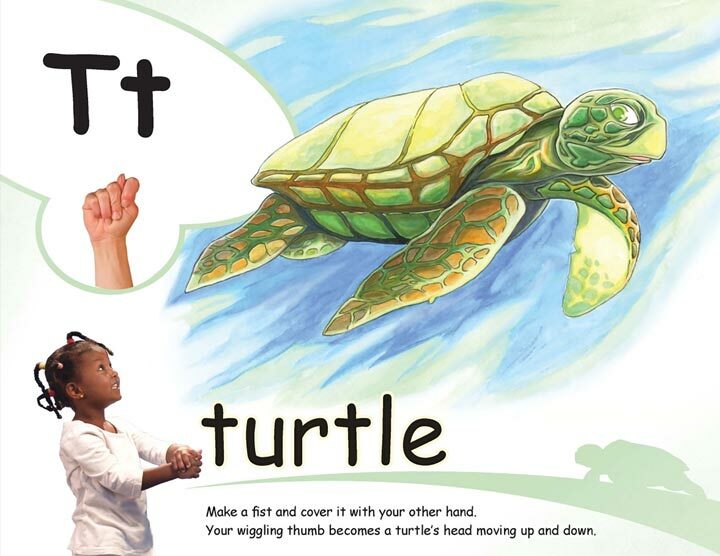 These children are signing t/“t”/turtle—one of our favorite signs. They playfully move the turtle’s head up and down. Celebrate learning with silent applause. Children feel great pride in themselves when they can sign. 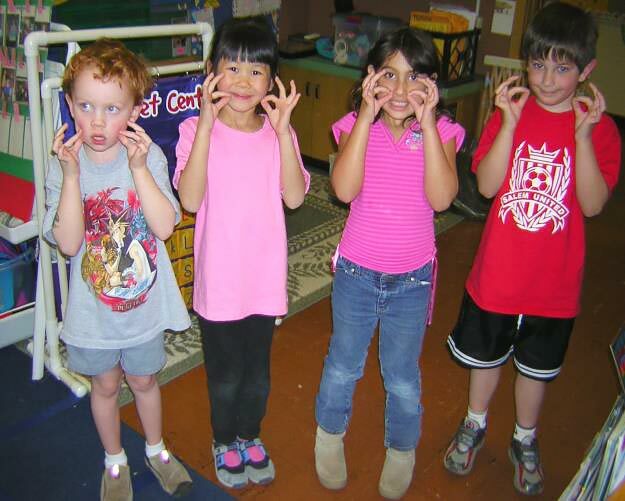 They love to sign applause (bravo) in American Sign Language: hands moving excitedly to the side of the forehead. Teachers enjoy how quiet the applause is. Songs in sign create memorable parent performances. Parents delight in seeing the confidence and enthusiasm for learning that children bring home. 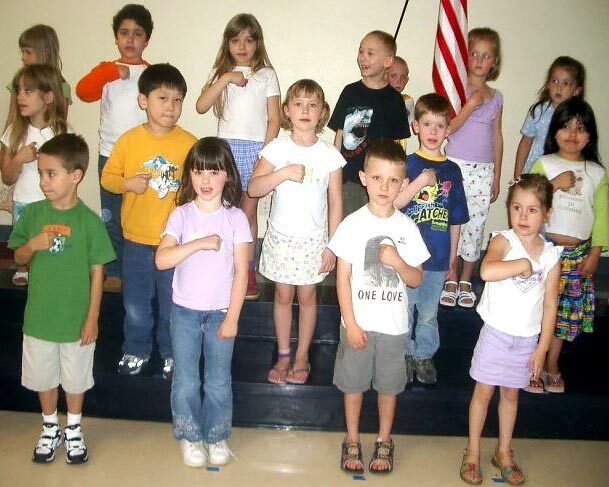 They love watching their children perform beautiful and meaningful language: The Pledge of Allegiance in ASL. (See American Patriot CD.) For video clips of American Sign Language, see our Videos Page. 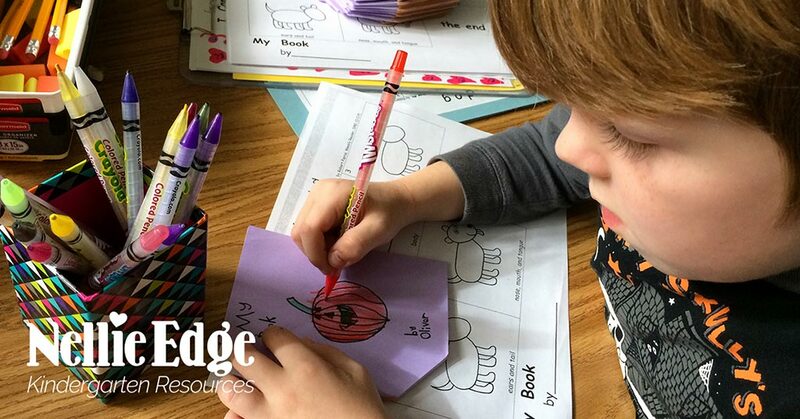 See Weekly Focus: Mastering ABC Phonics Skills! See “Heart Word” page for more information about teaching high-frequency “heart words” using fingerspelling and sign language. Special appreciation to Diane Larson, Joanie Cutler, Celeste Starr, Laura Flocker, Anne Winkler, Julie Lay, Katie Nelson, Kathie Bridges, Jaime Corliss, Shanda Lung, and teachers everywhere who engage the whole child in delightful language learning: Dancing with Words! L-O-V-E spells Love from Sing, Sign, Spell, and Read! See our boards with more free resources.